156 entries from all over the country. Over 20 PR organisations. Several PR entrepreneurs. This year’s jury certainly had its’ task cut out to decide the top 30 under 30 PR professionals in India. Each candidate was evaluated by three jury members from an eminent jury panel and an average of their score taken in order to ensure a level playing field for every applicant. The entries were very interesting with drawings and poems used by some to woo the jury with their creative spark. Let me begin this message by extending my heartiest congratulations to each one of you for being selected in the ‘30 under 30’ list. PRmoment India and the jury members, as always, have done a fine job in selecting the finest talents in the industry. The future of this industry rests on your able shoulders. The industry has immense expectations from you. We live in a rapidly evolving environment. The pace of change is humbling even for the ablest, and disruption is making individuals and businesses redundant at a scale that is scary. The same is true for our Public Relations industry. Therefore, you must set an example for everyone around with your ability to continuously evolve and reinvent yourself. This will help all the stakeholders around you -- be it clients, your firm, along with your seniors, peers and juniors. It will even enhance the value of your CV. Today, you must enjoy the adulation and the fruits of your labor. Here's wishing you the very best for your career ahead. I feel proud of each one of you and hope that our paths cross very soon. The winners will receive a redeemable coupon of Rs. 1,000/- each from eBay India and a free registeration for PRAXIS 2016 organised by the People for the PRomise Foundation for PR. But without further delay, do dive in and read about the journey of our 3030 winners for 2016. Congratulations all! 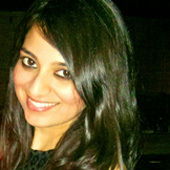 Aashima Malik’s first exposure to the world of PR was as an intern with ‘Delhi Age’ at the ripe old age of 17! Since then Aashima has been bitten by the PR bug, especially the consumer tech PR bug. In the last six years, she has worked with some of the top tech brands in the country, including Micromax, Dolby and Logotech. Out of these Aashima helped build brand presence for Logitech’s pivot from being an IT peripherals maker to a consumer entertainment brand. This integrated campaign, led by Aashima, had no advertising support at all. 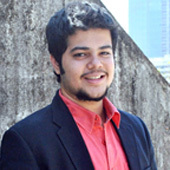 Afshad Kelawala describes himself as a love child of theatre and PR on his Twitter page. 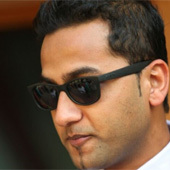 A self confessed extrovert and voracious reader, Afshad has become branch head of a PR firm at 27. In this capacity he has helped build new business, maintain retainers and pick up new projects. Just three years into just first job, Afshad was heading PR Pundit’s luxury practice at the branch level. 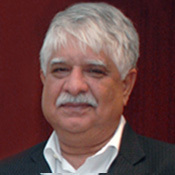 He has handled clients such as Moet Hennessy India, Vacheron Constantin and Adidas. An early convert to social media, Ancita Satija now hosts @SocialPoWow, a weekly Twitter chat that is a meeting ground on Twitter for PR pros, marketers and startups. Ancita was ranked amongst the list of the top 100 most influential individuals globally on Twitter in a report by Onalytica (Report by Onalytica). 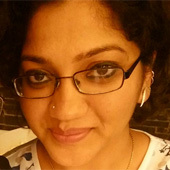 An accomplished writer, Ancita’s first blog as a month old newbie at Six Degrees PR ,for Viral Oza, director marketing, Nokia India was published by Campaign India with no major edits by Nokia. She also hosted Google's #PMOIndiaApp tweet chat with Google's Rajan Ananda and senior government officials to invite entries for the MyGov PMO mobile app contest and to underline Google’s effort for an inclusive 'Digital India'. When it comes down to it, storytelling is what Ancita loves; and the challenge of taking complex messages and making them accessible to the audience. 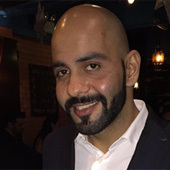 A diehard cricket fan, its perhaps not surprising that Aziz Khan is a bit of a sports PR specialist having managed events such as IPL, ICC World Cup 2011 and WWE Live Events (2015). The WWE event did not have any big stars, but Aziz capitalised on two new Indian entries into WWE- the first after the 'Great Khali' and helped create a high profile for WWE. 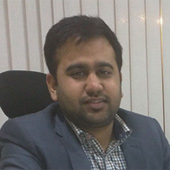 Aziz also worked on the Tigerair account, helping create visibility for a barely visible airline in India. Cross promotions with banks, stories and a desk calendar sent out with 'Lonely Planet ' helped create awareness about Tigerair. Imagine working with bikes and mobiles, all in the same job. Dhairya Chaudhry gets to do just that. She works with both Harley Davidson (operational lead) and Microsoft and doesn’t regard PR as a marketing function, but as a powerful part of business that can make or break a company’s reputation. Dhairya feels her core strength lies in the ability to be flexible across very different industries. She also describes herself as a team player who is respectful of the personalities and feelings of others in her team. Much like her name patience is what defines her. A lover of storytelling, Dhairya has that all important quality for success. She has pride in her PR work. Start-up buzz words such as boot strapping, one-man army mix effortlessly with descriptions of creamy ice cream with nitrogen air and sinful dessert trails when Digisha Shah talks. 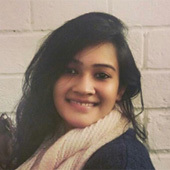 Digisha set up her own PR consultancy in 2011 and is now a specialist in hospitality who has worked with organisations such as Cafe Zoe, The Barking Deer, Boveda, SpiceKlub and Zenzi. To create interest, she successfully devised ‘Dessert Trails in Mumbai’ as a ticketed event, a concept she intends to repeat. She has also grown from a company of one to a team of five over the last five years. Divya Shah has grown from being a content writer to handling PR and marketing initiatives for brands like Zippo, Canon, LG and P&G. For Zippo, Divya advises the iconic company about their marketing strategy. Divya loves the fact that she gets to hear about the latest brand trends first, network with people, be creative and tell stories. Divya hoards lipsticks and feels she can conquer the world given the right shoes! Eshant Arora has worked with as many as 15 verticals across sectors such as IT, media and education, clocking media out reach for nearly a 100 companies on his watch. He has handled the media launch for diverse products such as BSNL phones entry in Indian market, SnapDeal Jolla India entry, Toshiba Laptops, nexGTV – Priyanka Chopra – It’s My City launch and Philips Air Purifier. The start of all this intensive work was curiosity. Curiosity about why brands would outsource their brand equity to complete strangers after a few meetings. 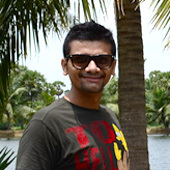 This curiosity is what led Eshant to a PR job. 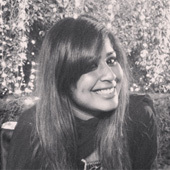 Manasi has led communication for various IP launches like Van Heusen+ GQ Fashion Nights, Myntra Fashion Weekend and the Vogue India Fashion Fund among others. 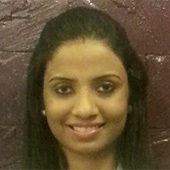 What excites Manasi is the opportunity to both build brands from scratch and reposition them. She was the PR lead in successfully re-positioning Lakmé Salon and launching its premium proposition Lakmé Studio for Lakmé Lever which resulted in 20% growth. Misha Paul kind of grabs you from the get go and it’s difficult to turn away from what she says. A most useful quality for a PR strategist. Here’s a bunch of stuff about her. She has a Harry Potter quote as her cover picture on Twitter, she put on ten kgs while doing food reviews for DNA as a journo and thinks Shaandar taught her many lessons about PR! And what were these lessons? How to convert small talk into meaningful conversation. Misha, has also helped increase the visibility of Viacom18 on social and digital channels, worked on campaigns like VatsUp Lunch and #DonateAMile that bring together the group CEO and employees on an informal platform, convincing the former to join social media. She is also currently working on Viacom18’s first CSR campaign, a campaign for StanC Marathon. High heels is what gets Misha through her day in PR as does Lakme’s 9 to 5 lipstick! Movit has worked for client 'Amazon India' on a below-the-line concept, developed by the e-commerce giant’s marketing team, called Chai Cart. A three wheeler armed with tea roamed tier 1, 2 and 3 cities to convince smaller sellers to sign up on Amazon India. Dealing with a hard sell due to suspicion of e-retailers, Movit worked hard to create a positive conversation with the media about Amazon’s objective. 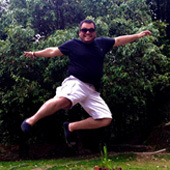 He has also worked on Kindle Fire and Burger King. A small town boy at heart, Mukesh Kharbanda has achieved scorching growth while based in Chandigarh. He has grown his company to a team of 50, with a strong client list, making Fuzion PR one of the biggest regional PR firms in India. 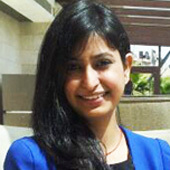 Namita Narula has worked in the difficult area of pharma and public health communications, helping manage outreach for WHO in India, notably the announcement that India is polio free. Namita believes in planned media engagement, without being seduced by platforms. She also has strong views on PR evaluation. 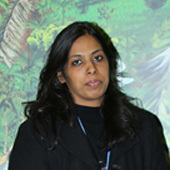 Namita has also worked with clients such as Nestle India, Ranbaxy and Abbott India. 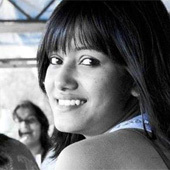 Neha Bisht has ventured out on her own last year after a stint with MSL and another PR startup. 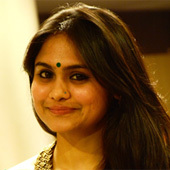 While she has worked with high profile clients such as bookmyshow.com, her forte has been the hospitality sector. She has worked closely with celebrity chef ,Vikas Khanna, while working for MSL India, helping to build his profile during the MasterChef India season. Today, Vikas Khanna is one of the best known chefs in the country even endorsing Mercedes. 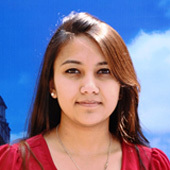 An engineer by education, Nairita Ghosh has now entered the world of PR armed with an MBA in the subject. If destiny was different Nairita would have taken her biomedical engineering degree and walked down the path of medical instruments and electrical circuits. But a love for writing and people in no particular order saw her move to PR instead. 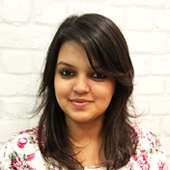 She was part of the team pitching for Taj Palace Hotels and Resorts and loves visual communication. If you watch her video explaining her love for PR, you will know why she is a visual maestro: Click here to watch the video. 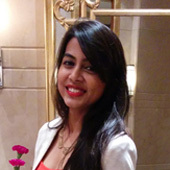 Within a year of joining Taj Palace, Nikita Das was promoted to director for marketing and PR for the hotel chain. 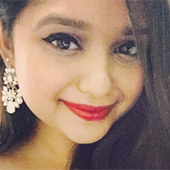 With a background in advertising, Nikita has worked on one of the largest charity balls in the city and is in charge of all communication for Taj Palace including managing its social media presence. She enjoys PR for its' entrepreneurial spirit as well as the fact that it is now integrated with other marketing disciplines. 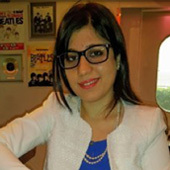 Pooja Mehta first worked with Sony India as a member of its PR agency and later transited to leading their corporate communications function. She already had a grounding in working with the tech media, a foundation that helped to cope with a crisis Sony was faced with last year. In 2015, rumors spread that Sony may exit the smartphones and television market in India, PR was relied upon over advertising to successfully address the issue. One of the youngest corporate communications leads in consumer electronics, Pooja has strong support from the tech press including its stars. Prasanna Ratanjankar presentation on her work, looks like the beautifully crafted storyboard from a silent movie or Mad Men, depending on your inclination. Tasked with PR for MTV and Pepsi MTV Indies, when she first began work MTV was kind of notorious for not talking to the press. PR was the least important part of the MTV marketing mandate. Prasanna was asked to change this and she says today PR has become an essential promotion tool for MTV. Inspite of no background in working with youth brands, Prasanna helped launch the highly successful MTV’s voter awareness program MTV Rock The Vote. 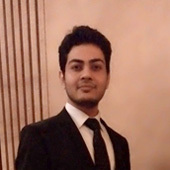 Rahul Jain combines handling PR for defense and aviation firms with a love for gaming and movies. Rahul was part of the winning pitch team for Vistara and has worked to help highlight Airbus Group’s ‘Make in India’ campaign. Rahul is also, interestingly enough, a follower of the ancient Greek philosopher Pyhrro and his school of skepticism. This must surely help him while dealing with the media! Rahul Jain is half Punjabi and half Tamilian, making him right at home in the nuanced world of PR. He has worked not only for clients in the BSFI and consumer tech space, but also for a polio drive. 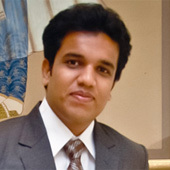 One of the first integrated campaigns that Rahul worked on was for the developmental sector with The Aidmatrix Foundation for the Polio Eradication program led and implemented by UNICEF.Rahul says the program taught him ways of communicating with people that don’t necessarily know how to read. This led to ideas like Nukkad Natak in villages on the UP-Nepal border to send the message of getting children vaccinated. He has also worked for the Lumia smartphone highlighting its potential for great pictures and the launch of the 'Limca Book of Records' at the Jaipur Lit Fest. On a lighter note, Rahul says his folks haven’t thrown me out of the house yet (given the timings he keeps), and have understood and appreciate public relations and communications, which he considers an achievement! Raunak Narayanan candidly admits that his entry into PR was “luck by chance”! A combination of recession and advise from his professor brought him to PR rather than advertising. Seven years down the line Raunak has no regrets about it and says he loves PR, one of the few from his family of engineers to opt for a creative field. A cricket and FC Barcelona fan, Raunak has worked on the ‘Mumbai Indians #RetireTheJerseyNo10 Campaign’, as well on ZTE mobiles. He also has strong internal recognition. He has not only received a WE award for overall client management, but was also the only team member from India chosen to represent WE Worldwide for a rebranding conference in San Francisco. 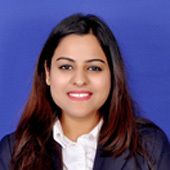 Richa Seth’s clients say that she is an “awesome storyteller”, who is not afraid to call a “spade a spade”. 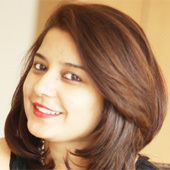 An avid blogger, Richa runs the Facebook and LinkedIn pages of “Indian PR forum”, a platform for PR professionals. Among the clients she has worked for her is 'Ducere Technologies', helping to create and position the brand ‘Lechal’ as the world’s first haptic interactive footwear, on the strength of PR. Lechal was covered internationally in the ‘New York Post’ and the ‘Wall Street Journal’. An integrated communications consultant, Rochelle Fernandes has such an interesting work mix to show. From MasterCard to a cattle care festival to the largest port company in UK, Rochelle has done it all. Her stint with Port Peels and MasterCard have taught her to work across time zones and cultures. 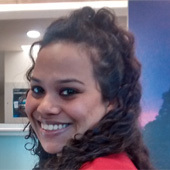 Rochelle worked for MasterCard’s signature education program to drive interest and encourage STEM (Science, Technology, Engineering and Math) careers for for middle school girls in India. Samarpita Samaddar has the enviable job of helping promote movies such as the opulent ‘Bajirao Mastani’ and the delicately nuanced, disturbing ‘Aligarh’. Life and preference has led her to be the bridge between artists and the media. Before joining Eros International, Samarpita worked with the Indian Foundation for Arts. A project she is particularly proud of is Project 560, a found spaces initiative—an artistic quest, an effort to and understand the stories of Bangalore and its spaces, their histories and meanings through the engagements and imagination of artists. Samarpita has made the switch from handling relatively unknown artists at the 'Indian Foundation of Arts' to working on the PR campaign of one of the largest Bollywood films in 2015, ‘Bajirao Mastani’. 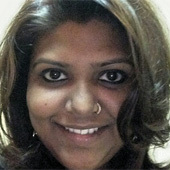 Unusually, Shweta Poojri has made the switch from a stint as PR lead for Sony Pix and AXN to agency life. At Sony, with very limited background she worked on managing their digital outreach as well. Shweta’s client endorsements speak for themselves; with strong testimonials from companies as diverse as Tata Communications and Sony Pictures Network. 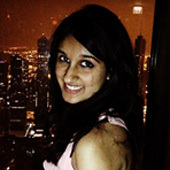 At 23, Smera Chawla is already working with public affairs on issues such as energy. This means that she keeps an eye on state elections, relevant ministries that impact energy as well as the pronouncements of senior government officials. She manages a team of 4 and helps devise campaigns of public interest around clean energy. A large part of Smera’s work is around reputation management and she keeps a sharp eye on online chatter about her oil and natural gas clients. 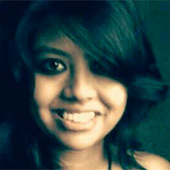 A self described “obsessive compulsive” animal lover and traveler, Smriti Raghunandan has become a bit of an IT specialist at 20: 20 MSL. 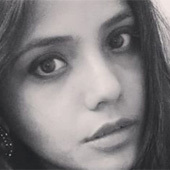 She had an early grounding with handling accounts such as GE India Technology Centre (GE ITC) and Invest Victoria fairly independently as the youngest member of the PR team. She is especially proud of her work with Zoho, an online productivity tools and SaaS firm, where she has helped position the CEO, Sridhar Vembu, as a thought leader. Sumangala Verma was recently faced with an unusual problem. A survey report she was working on had mostly positive results for India, a hard story to sell in a world where bad news is news. Going through the research she realized that the report showed that Indian parents were increasingly aligned with the idea of ‘Lighthouse Parenting’, a parenting style that gives their kids the space to make their own decisions. Private jets conjure up pictures of billionaires taking off in lush luxury. But Ujjwal Bakshi’s mandate is to position private jets not as wealthy indulgences but as a work tool for a busy, high profile executive. All the PR outreach for the, ‘Business Aircraft Operators Association (BAOA)’, is managed in-house, without any PR consultancy. Ujjwal designed and implemented an advocacy and industry outreach campaign for India’s business aviation sector called ‘BizAvIndia’ to the Governing Board. This allowed BAOA to engage with its members, government, regulators, and media. 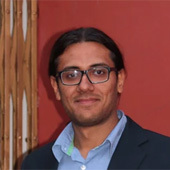 Working with the interstingly titleld ‘Boring Brands’, Upasna Dash is a startup expert, having worked with a wide range of startups such as OYO Rooms. While her work with OYO, gave her the experience of positioning PR a core business function for the hotel aggregrator, her work with Mavin Inc. was an exercise in crisis management. Crisis Management for Mavin Inc.